Increase the Longevity and Performance of your Becker Pumps! 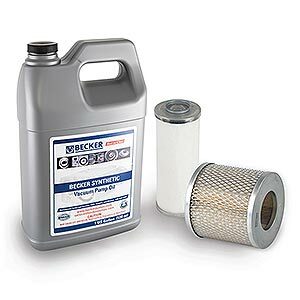 Only Becker Genuine Parts are specifically engineered, manufactured and tested to deliver the optimal performance of your Becker vacuum pumps, compressors and blowers. 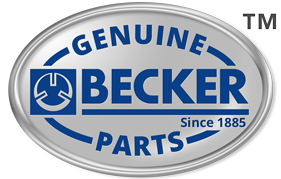 Becker Genuine Parts maximize the life of your equipment, lower your annual maintenance costs, and maintain valuable warranty coverage. Keep a kit on your shelf for fast maintenance turnaround time. Reduce down time waiting for parts to arrive. 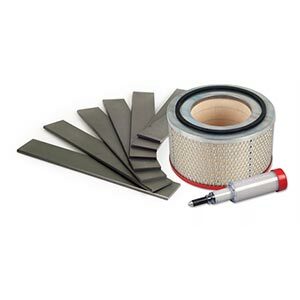 A built-in reminder to change the filters and grease the bearings when you change the oil-less pump vanes. All parts in one place to keep pump running like new.